First off may you all enjoy the day today with your loved ones, as Thanksgiving Day is a time for us to reflect and appreciate those around us. Today is an important day for Armenians all around the world, it’s the one time that regardless of political affiliation or personal beliefs we all band together to help other Armenians in need. This year Armenia Fund’s telethon is geared towards raising fund for Karabagh, the “Water is Life” campaign is extremely important to the continued existence of Karabagh in the hopes that it can continue to flourish, the goal is to provide drinking water and irrigation to its 200 villages. 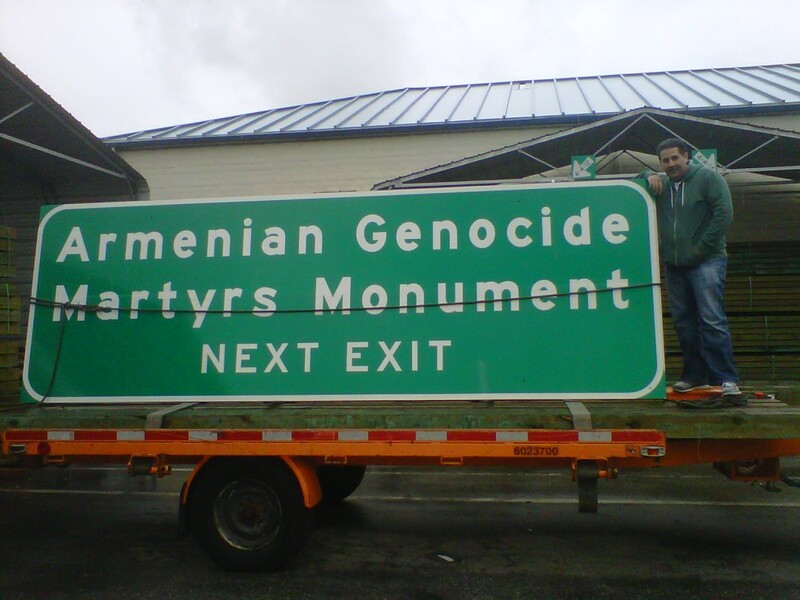 During today’s telethon I will be on air between 5-6pm PST with my dad , Michael Minasian for a segment to highlight some of our communities accomplishments, specifically the Armenian Genocide Martyrs Monument in Montebello and to celebrate Montebello and Stepanakert(capitol of Karabagh) sister city partnership. As a community we have accomplished much here in the Diaspora, helping Armenians across the globe has become a passion and today I ask you all once again to answer the calls of those who need our help. I encourage all of you to participate what you can for this worthy cause, we are all lucky to have what we have. We should hope and want our brothers and sisters who live in harm’s way to have an opportunity to live with most basic of necessities, water. You can donate at any time or online, however if you would like to call in during the time we are on air (somewhere between 5-6pm PST) I have offered to field calls after the segment and hope to speak with many of you. God Bless, Happy Thanksgiving and may we give more today to those that need it. In 1960′s the newspaper was king, and any event was covered and shared through articles, press releases and editorials. Below you will find articles and editorials about the process, the tabulations, the pride, the perseverance of the founding members of the monument project. Read how the local community welcomed the monument and what it meant for it to be the first such monument erected on public land. To view, click on the link and a PDF of the original article will be displayed. 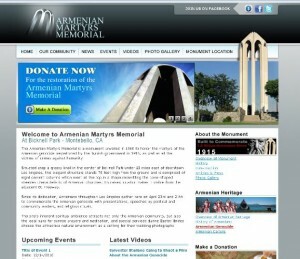 Today Armenian Martyrs Memorial Monument Launched its new website with the help of Trimark Marketing Group. 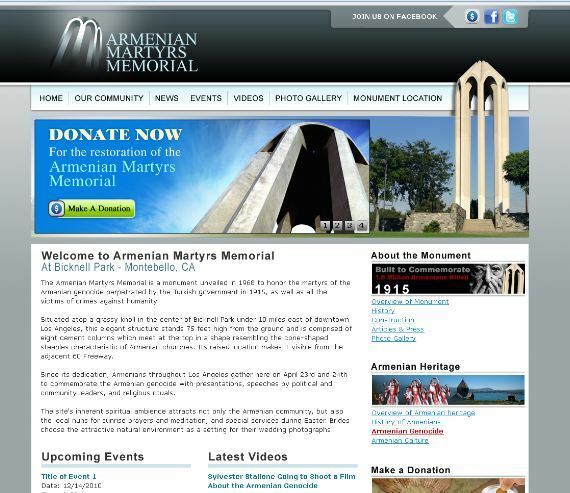 The purpose of the site is to bring more awareness to the Monument, its community and to educate about the Armenian Genocide. MONTEBELLO, CA – A historic event will take place on Nov. 22, 2010, when the President of the Republic of Karabagh, Bako Sahakian, will be honored and recognized with a proclamation and the Key to the City by the Montebello City Council. The City of Montebello is a sister city with the City of Stepanakert and both have been active sister partners for over six years. It has proven to be a fruitful and rewarding relationship. Council meeting takes place in City Hall at 1600 W Beverly Blvd. and begins at 7:00 PM sharp. After the ceremony, the San Gabriel Valley ANC will host a reception welcoming the President at the Montebello Armenian Center, 420 W Washington Blvd.